You know you've always wanted one of these Colonial fighter spacecraft for your very own. Well, now's your chance. Land this Viper Bobble Head on your computer monitor! Based on the Battlestar Galactica sci-fi TV series, the 4 1/2-inch scale miniature bobbler is made of PVC plastic and attaches to the surface with a non-damaging adhesive pad. Your dream has come true! 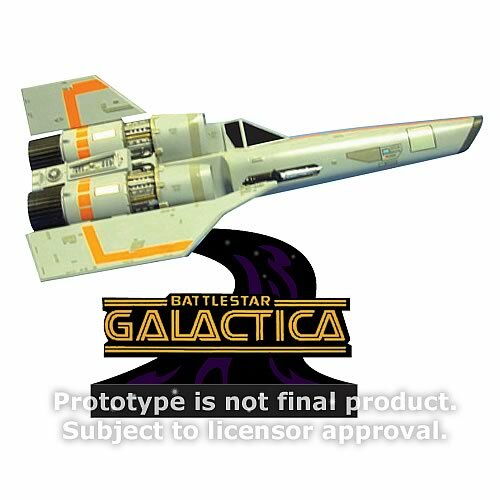 Pre-order your very own Battlestar Galactica Viper Monitor Mate Bobble Head today!